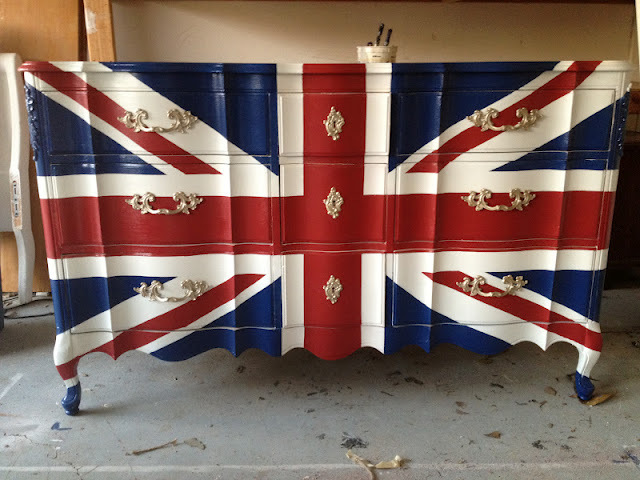 Make way for the perfect addition to your home: a funky union jack dresser which is totally DIY-able! This weekend hit Craigslist or the flea market in search for a solid wood antique dresser (I’ve seen some go for less than $20) and transform it into your coolest piece of furniture ever! Keep reading for full instructions! 1. 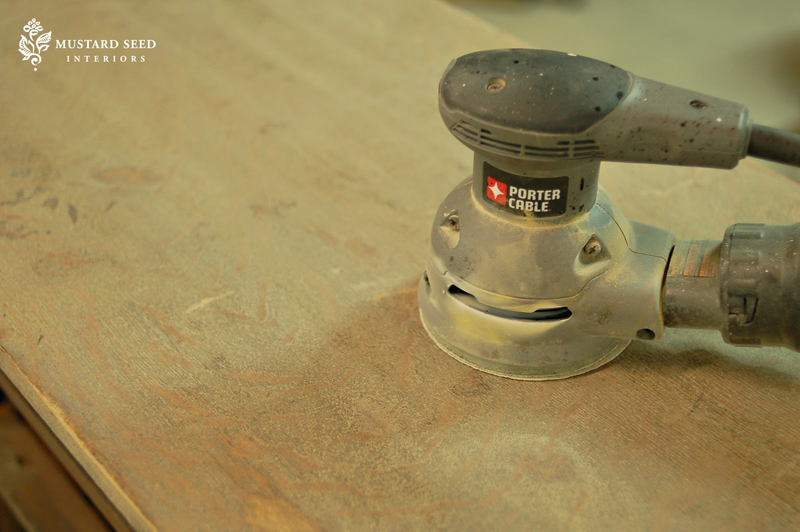 Sand down your dresser to strip the paint or stain with a palm sander. 2. 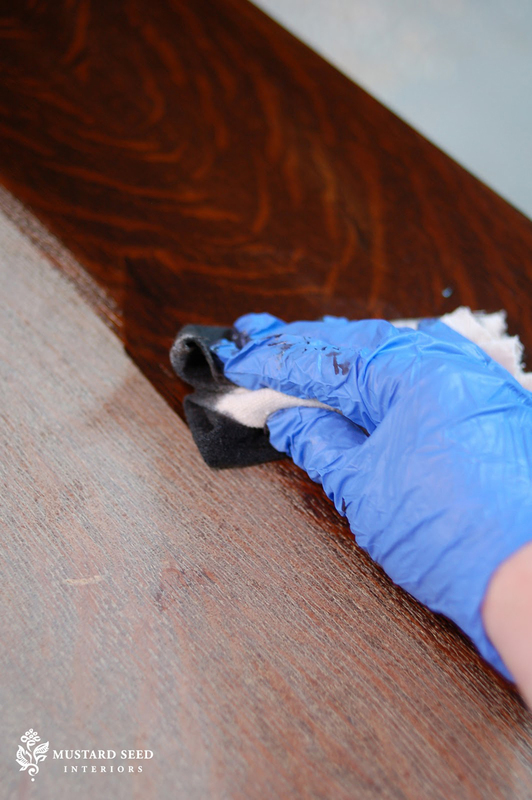 Apply a dark walnut stain to the top of the dresser with a scrap of drop cloth canvas and rub it in the direction of the wood grain. Allow it to soak in the wood and dry before finishing with a protective coat. 3. 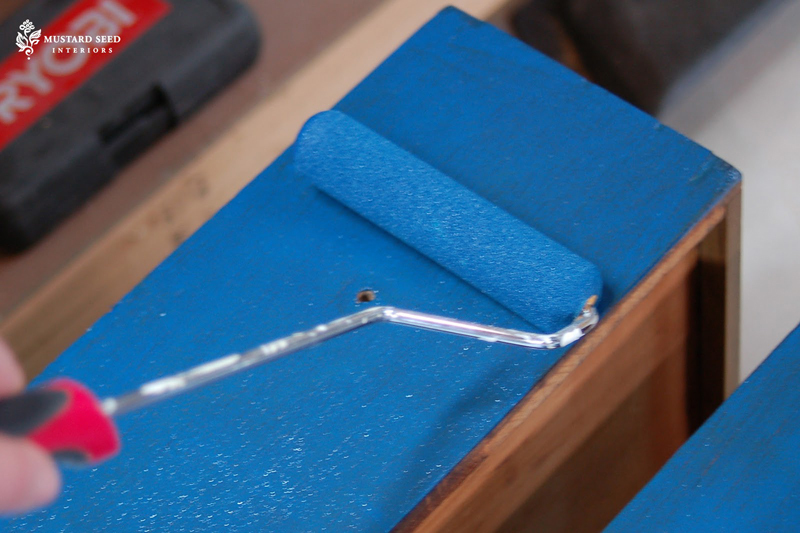 Paint the whole body of the dresser in a rich blue (Naval by Sherwin Williams) with a brush and foam roller. 4. Once your blue paint dries, use a piece of chalk to sketch on the flag and then hand paint over the chalk with your remaining colors. The colors used are Naval (blue), Stolen Kiss (red) and Creamy (white) by Sherwin Williams. 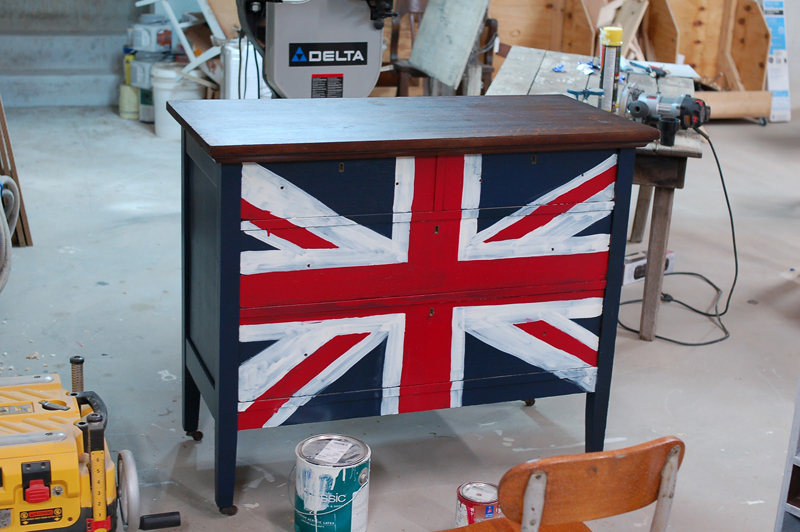 Let your dresser dry overnight and sand down the corners and edges for an antique look if you wish. And…voila! 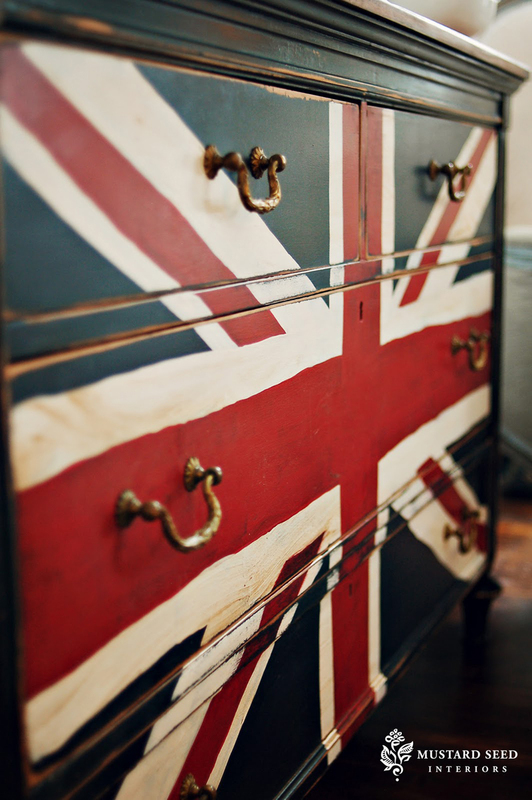 This entry was posted in Bedrooms, DIY, Hallways and tagged bedroom, better decorating bible, blog, blue, boys room, british flag, budget, cheap chic, cool, diy, do it yourself, dresser, ideas, paint, project, red, suzy q, teens, union jack, white. Bookmark the permalink.